Mohit Marwah & Antara Motiwala's Wedding Was Bhangra, Beats & All Things Punjabi! The ongoing celebrations of the #AntuMoh wedding concluded with Mohit Marwah and Antara Motiwala tying the knot in a gorgeous ceremony on Tuesday i.e. 20th February 2018. We're assuming you saw all the pictures from the mehendi ceremony (if not, take a look at them here), and now we have for you, all the amazing photographs from the sangeet and wedding ceremonies. Mohit is Anil, Boney and Sanjay Kapoor's nephew (their sister Reena's son) and Antara is a celebrity stylist who also happens to be Tina Ambani's niece. 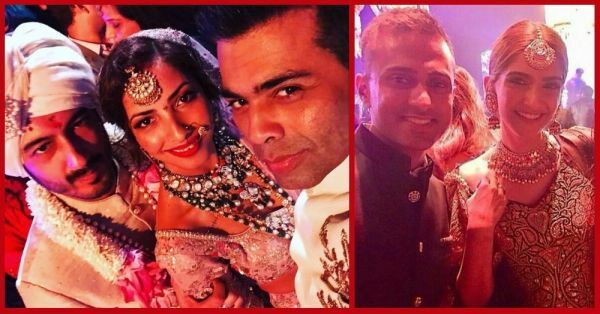 So, the fact that the wedding festivities were a star-studded affair does not come as a surprise. Guru Randhawa was there! And to say that he rocked the sangeet would be an understatement! Arjun Kapoor can light up any place with his energy! That's Sanjay Kapoor's daughter Shanaya performing a ritual before the wedding. And look, there's our pretty Sonam Kapoor! 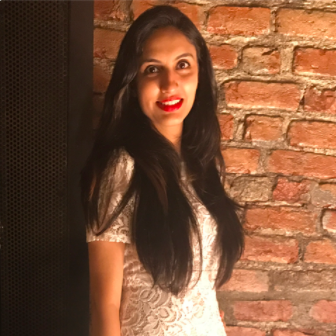 Introducing Mrs Antara Marwah, for the very first time! Sonam and Anand together make a stunning couple! Karan Johar has some *killer* moves! Our heartiest congratulations to Mohit and Antara and best wishes for a very happy married life ahead!